This is a flagship multi-family project at The Star for Columbus Realty, the Dallas Cowboys and Roger Staubach. 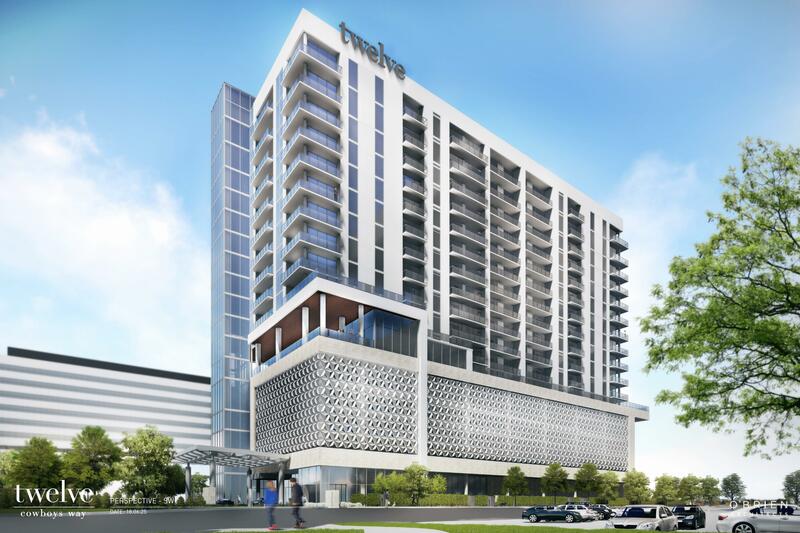 Designed by O’Brien Architects, the apartment high-rise will be built on about two acres at Gaylord Parkway and Cowboys Way, just West of the tollway and across the street from the Ford Center. With 17 stories and 158 units, it will include a luxurious amenity area, spacious penthouse units and designs inspired from Miami. Also included for residents is a membership to The Star facilities. The Star is a 91-acre campus that hosts the world HQ of the Dallas Cowboys and features the Ford Center (indoor football stadium), an entertainment district lined with restaurants and shops, an Omni hotel, and a medical center.